Ceviche Town is a Peruvian Fusion restaurant that offers diverse flavors from the Peruvian gastronomy. Located in Downtown Miami, its contemporary design provides a divine atmosphere to nurture your soul. 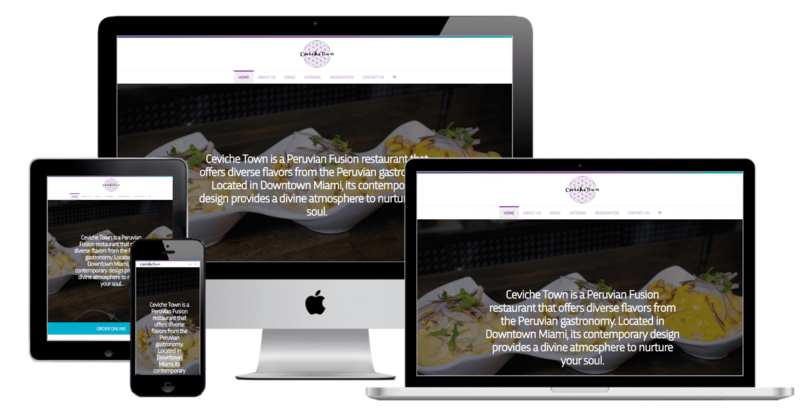 The owner of Ceviche Town was in need of a website that would save him money on third party services. The project needed to have an online ordering system to save on eat24.com fees and an online table reservation system to save on opentable.com fees. 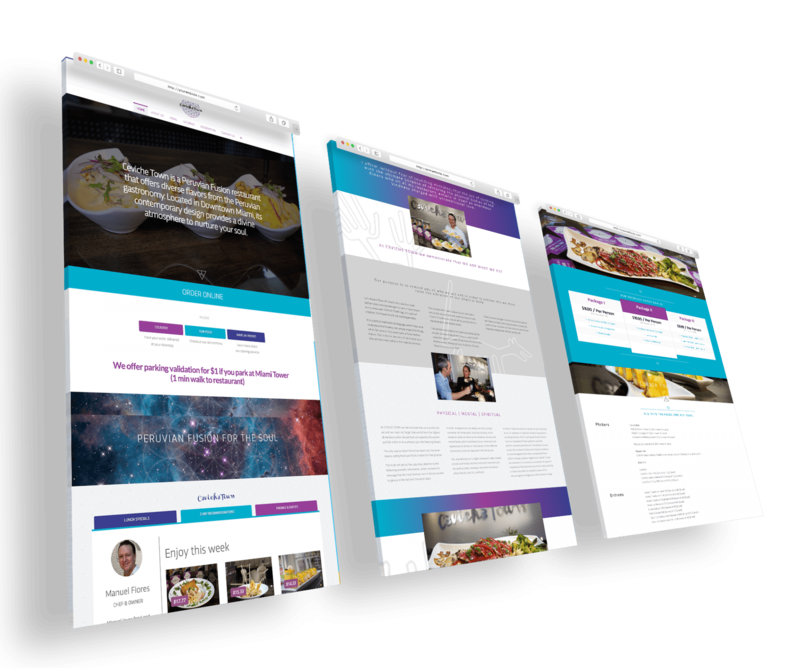 I developed and responsive website where visitors could make online table reservation though a WordPress plugin. I also integrated an online ordering system linked to the website menu where online orders could be placed and the restaurant would receive notifications to start processing them.